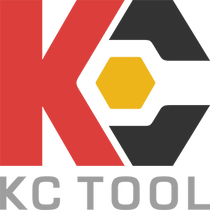 We at KC Tool spend all day with the great German tools you have come to know and love. We also have very different opinions and aren’t afraid to voice them. Now those opinions are on full display. Some members of the staff have crafted what they believe to be the perfect screwdriver and pliers sets. When the idea was first floated, we truthfully thought that there would be a ton of crossover and that our sets would be fairly similar. Man, were we wrong. Everybody had a different idea of what they would need in their set. Some had a specific theme in mind like price or type. Others wanted a range of styles. Some love a specific brand. It was amazing how little overlap there really was! And if you know anything about us here at KCT, you know we are extremely competitive so we will be watching the sales numbers like hawks!